SELLER IS MOTIVATED! 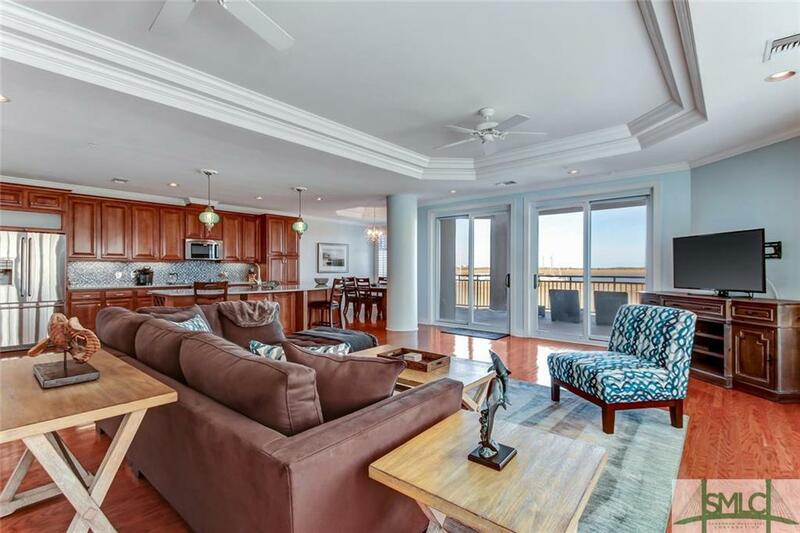 Experience a luxurious, low maintenance lifestyle overlooking the Bull River! 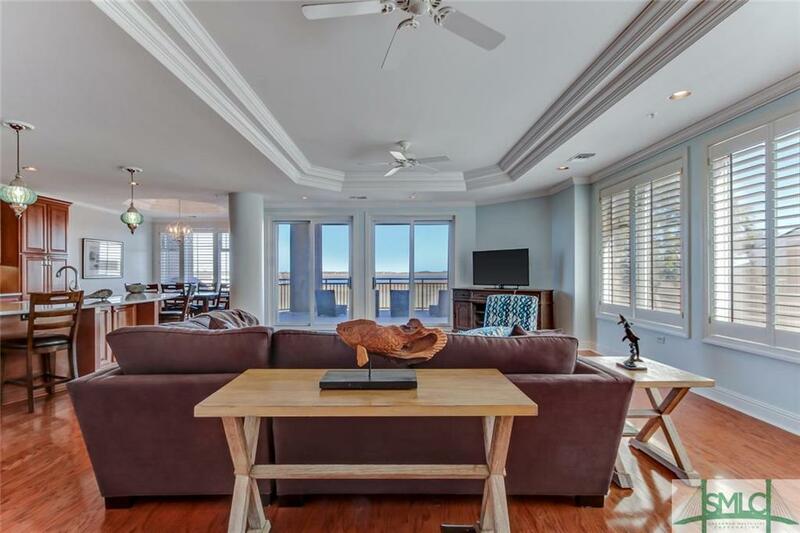 Located on the first floor, this exquisite end unit condo offers a spacious and open floor plan where an inviting living area meets a beautiful gourmet kitchen including stainless steel appliances, custom back splash, and a large center island perfect for entertaining guests. The lovely owner's retreat boasts a generous walk-in closet and luxurious en-suite bath complete with desired double vanity, jetted tub, and separate shower. 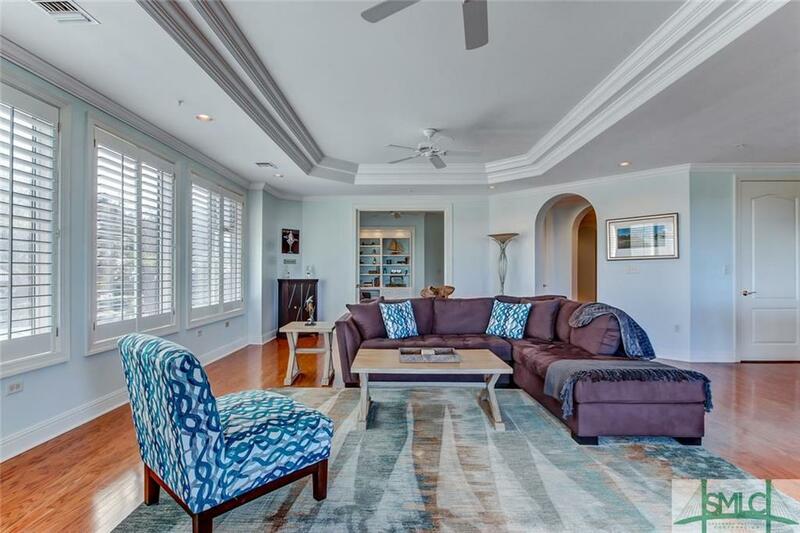 Artful moldings, hardwood flooring, and custom fixtures create a sense of luxury throughout. Spacious study could easily be used as a 3rd bedroom with custom built-ins and a full bath. Enjoy breathtaking views of the river from your over-sized private balcony, community marina, and rooftop pool. SELLER HAS AGREED TO PAY 6 MTHS OF HOA DUES W/ AN ACCEPTABLE OFFER! 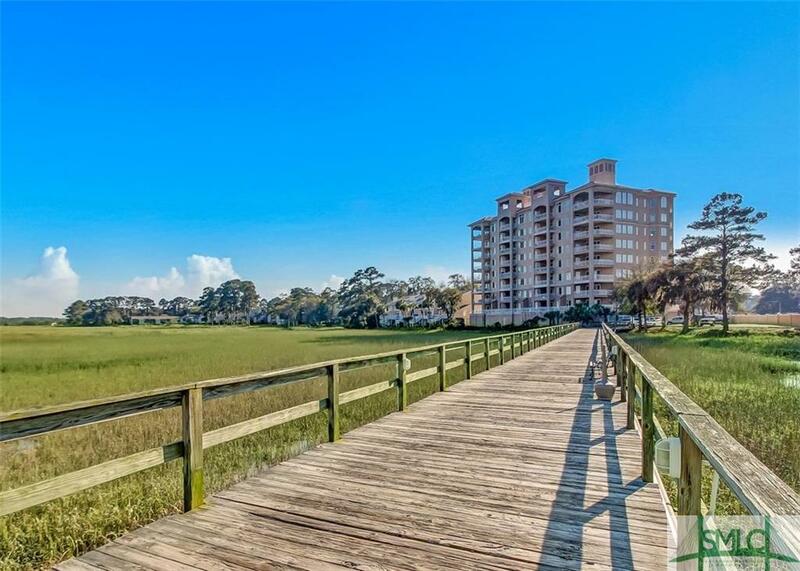 Located just moments from Tybee Island and historic downtown Savannah!